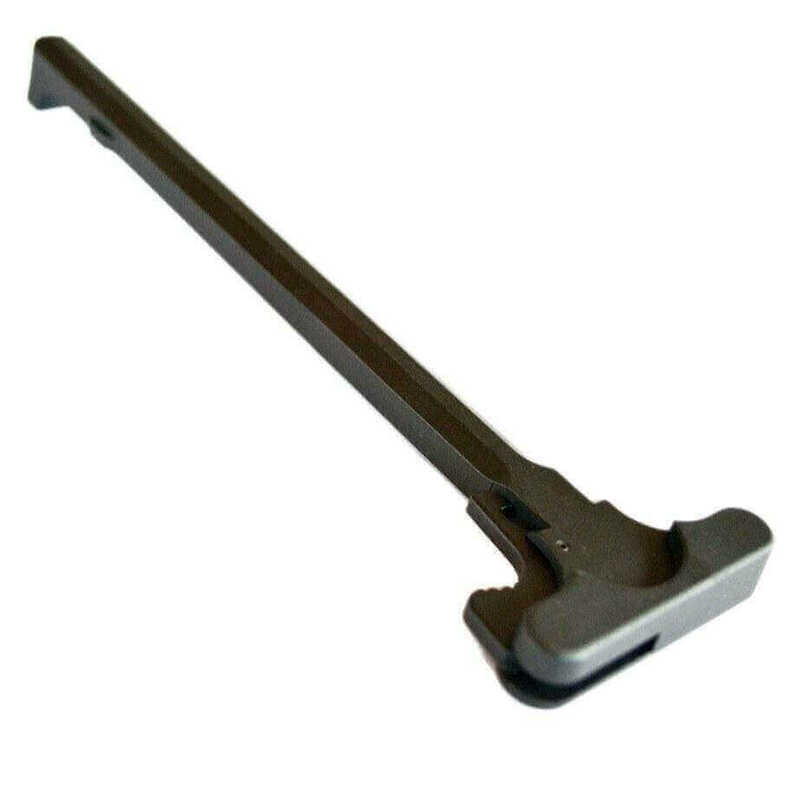 Easily chamber your rifle with this classic mil-spec charging handle assembly. Easy to install – just drop in to any mil-spec upper receiver. This charging handle is machined from lightweight, strong 7075 T6 aluminum alloy, with a Type III hardcoat-anodized finish. Hard Coat Anodized Type III, Class 2, Black. As of today I have not been to the range, but the handle feels solid. Shipping only took two days. Well pleased. I will order from AT3 again. Easy ordering, Quick delivery. Quality product. Fits perfectly. Thanks for sharing your feedback, David. We're glad you're satisfied with your purchase. Got this charge handle for a real m4 stripped upper. Fit perfectly. Says alot about at3. Great deal. Nice piece. Nothing extraordinary, but I didn't pay for that. At same time nice quality and perfect fit with my upper. Would definitely buy again.